The Michigan Department of Agriculture and Rural Development (MDARD) Oct. 18 announced 17 recipients in the state would receive more than $1.5 million from the U.S. Department of Agriculture’s Specialty Crop Block Grant Program. The grants, with a maximum award of $100,000 each, enhance the competitiveness of the state’s specialty crops. Michigan Apple Committee – $100,000. 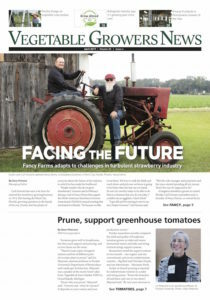 Enhancing the competitiveness of Michigan apples through consumer education online and in print.